Access to electricity and to clean cooking solutions are separate objectives of Sustainable Development Goal 7 (SDG7). Programs tackling these aims have been largely disconnected, however new research identifies virtuous cycles from their joint consideration: increasing electric cookstove penetrations increases electricity consumption, lowers electricity unit-costs through the realization of economies of scale, and improves the viability of electric cookstoves, continuing the cycle. These effects improve the economic viability of electric cookstove adoption significantly more than what may be immediately evident. Integrating clean cooking and electrification planning can result in cleaner cooking practices, lower electricity costs, and expedited progress towards SDG7. Yet clean cooking has been slow to catch on. Solutions such as advanced biomass, renewable fuel, LPG, natural gas, kerosene, and electric cookstoves are advocated because of their low particulate and carbon monoxide emissions levels. Nevertheless, they have been slow to replace the use of solid fuels due to affordability constraints, low levels of consumer awareness, poorly defined standards, and policy issues. Electric hot plates and induction stoves have been neglected due to low electricity access rates. Despite growing popularity in parts of India and other places, electric cookstoves have been typically overlooked as options for clean cooking because of their dependence on reliable electricity access, which is often absent. As electrification rates rise, electric cookstoves become increasingly viable. Conclusion. Although the results only consider techno-economic factors and ignore important human factors and local preferences, they suggest that high-level planning may result in lower electricity costs, greater access to clean cooking technologies, and significant system-wide benefit. FIGURE 1: Cost-optimal system designs from the Reference Electrification Model (REM) enable coordinated cooking-electrification planning studies. 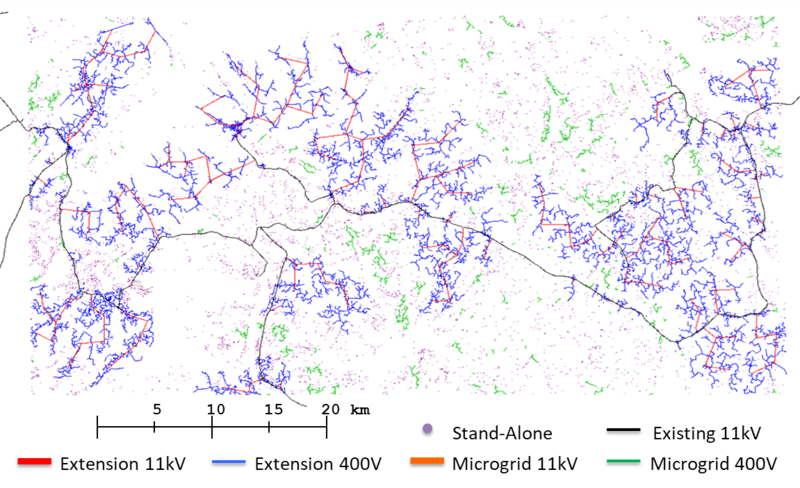 Every individual household and residential cooking system in a large region is modeled, enabling detailed scenario analyses. 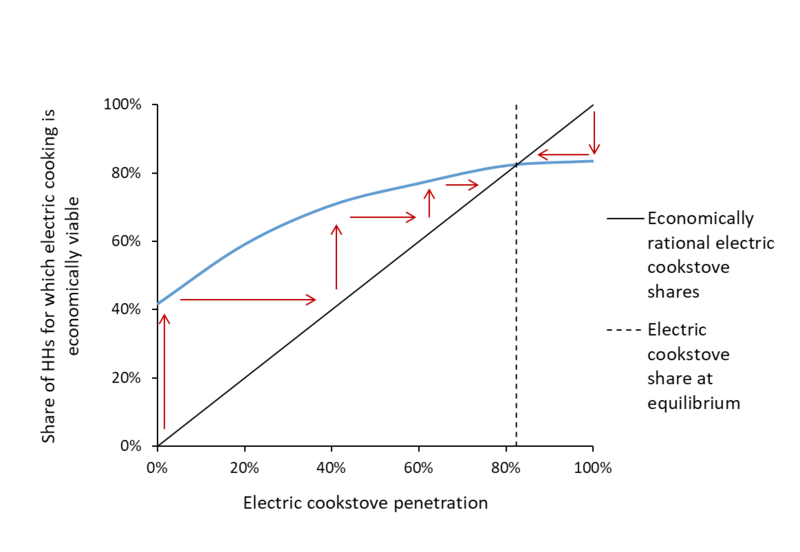 FIGURE 2: Increasing electric cookstove penetrations increases electricity consumption and enables the realization of economies of scale in power system design. This decreases electricity costs and improves the economic viability of electric cookstoves (box and whisker plots) relative to LPG cookstoves (dashed line). 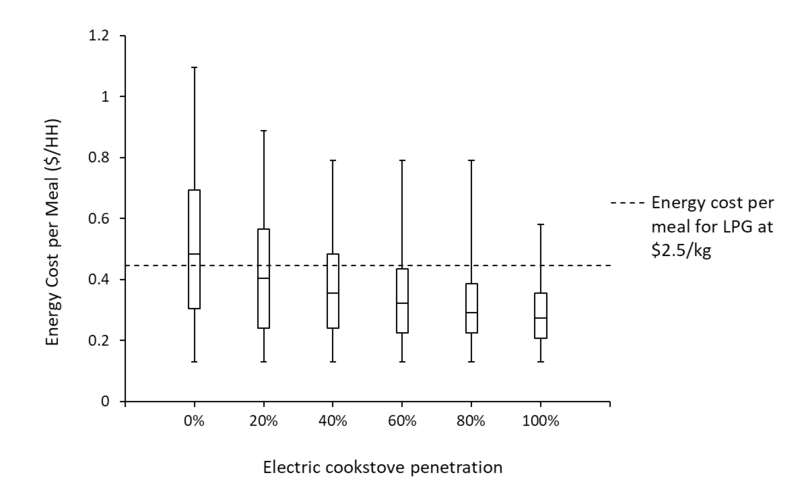 FIGURE 3: As electric cookstove penetrations increase from 0%, the share of households for which electric cooking is economically viable increases as well. A virtuous cycle of increasing electric cookstove penetrations and increasing electric cookstove viabilities is maintained until an equilibrium point. At equilibrium, 82% of households use electric cookstoves and 18% use LPG cookstoves. Putti, Venkata Ramana, et al., The State of the Global Clean and Improved Cooking Sector, Energy Sector Management Assistance Program (ESMAP) Technical Reports (2015). IEA (2018), “Sunny-side up: electricity for clean cooking,” World Energy Outlook 2018, Pg. 393, Paris, https://doi.org/10.1787/weo-2018-en. Full Working Paper to be published later in 2019. Geographic Information System (GIS) technologies have the capability to revolutionize large-scale electrification planning. 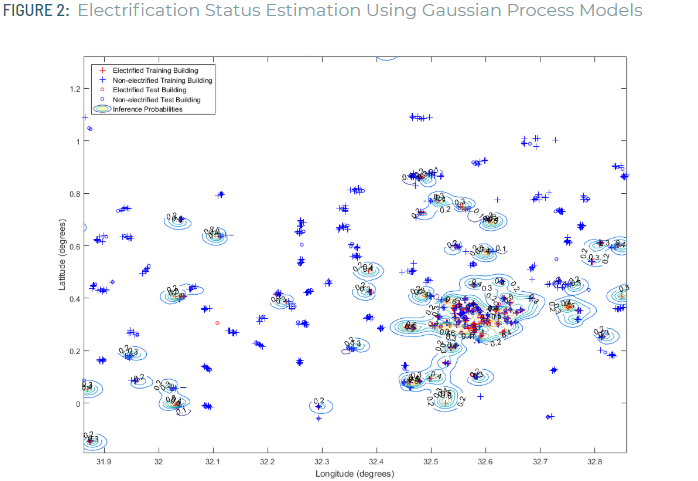 Advances in computer-based electrification planning models, satellite imaging, and machine learning are able to optimize infrastructure planning, lowering the costs of electricity provision and expediting progress.